Hotel Plantage i Amsterdam, Nederland: Bestill nå! Cancellation 30 days prior to arrival date is for free otherwise 100% stay amount will be charged to your credit card. Hotel will pre-authorise your credit card 30 days prior to arrival date and will freeze the full amount of money until your arrival. After the payment in the hotel your money will be released. The booking amount is mentioned ex. 5% Tourist tax (5,5% in 2013-2014)which will be paid on arrival. 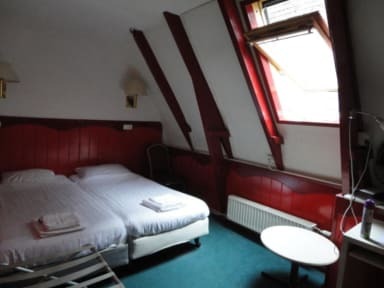 Conveniently located in the Plantage district of Amsterdam, right next to the Artis zoo the Hortus Botanicus, this small and cosy hotel offers comfortable budget accommodation. With simple, functional rooms and competitive rates, the Hotel Plantage offers a convenient base for your city trip to Amsterdam. From this characteristic hotel, situated in this beautiful green area, you can easily explore the famous old town centre. Hotel Plantage offers free Wi-Fi access throughout the building. With a key to the front door of the hotel, you can come and go as you please. 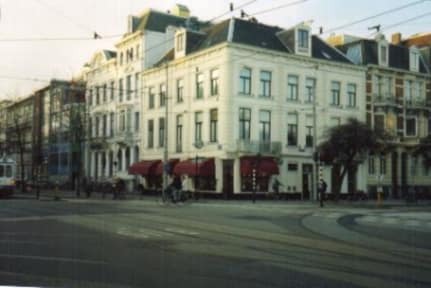 Next to the hotel is tram stop of tram 14 which makes the trip easy and convenient from Amsterdam Central Station. In 10 minutes walking distance there are metro stops Waterlooplein and Weesperplein which makes the hotel accessible by metro as well. * Please note that the total price of the reservation will be charged 7 days prior to arrival. Please note that cancellations which are not made at least 7 days in advance are subject to charge of the total amount of reservation. In case of no show total reservation amount will be charged. The Hotel has only non-smoking rooms.